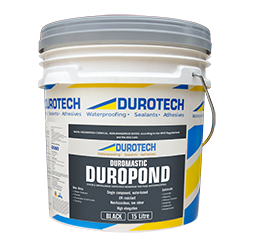 DURO MASTIC™ DUROPOND is a liquid membrane product based on a unique double crosslinked copolymer system. The product is waterbased yet offers strong water resistance. The cured membrane has exceptional flex and elasticity for good crack-bridging properties while at the same time maintaining good tensile film strength. 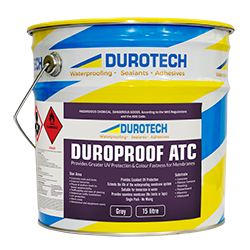 DUROPOND has excellent re-sistance to UV, colour fade and chalking. DUROPOND is easily maintained, recoated and re-paired .The water content is low which enables fast drying and thick films to be built up quickly. 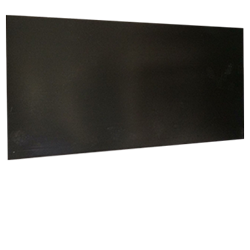 The product is supplied as a thixotropic liquid, which is easily applied to both vertical and horizontal surfaces. 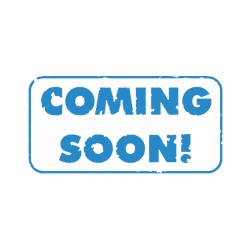 It complies fully with the test requirements of AS:4858-2004 "Wet Area Membranes" and passes at Class III, the highest level in the Australian standard. 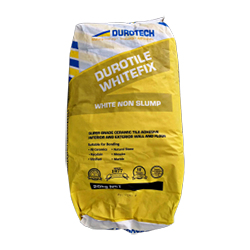 DUROPOND is applied as part of a system with primer Duromix Hibuild WBE.